Los Angeles, CA (September 29, 2009) -- It is with great sadness that we announce the passing of Maple Jam Music Group President, Greg Ladanyi, today, at the age of 57. Ladanyi sustained severe head trauma following an on-stage accident last Friday in the Greek Republic of Cyprus. Ladanyi was immediately rushed to a local hospital where he remained in critical condition over the weekend. He was in Cyprus touring with Maple Jam Music artist, Anna Vissi. Ladanyi, a Grammy Award-winning producer, has spent his entire professional career engineering, mixing and producing for the greatest artists in the entertainment industry. 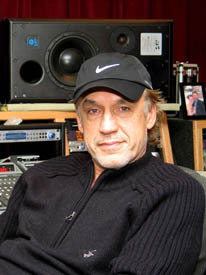 Ladanyi was widely known for his production and engineering work with musical greats Jackson Browne (six albums, including Running on Empty, Holding Out, and Lawyers in Love), Toto (four albums, including Toto IV), Don Henley (three albums, including Building the Perfect Beast), Fleetwood Mac (Fleetwood Mac Greatest Hits and Behind the Mask), The Church (Starfish), Jeff Healey (See the Light), and Jaguares (Bajo el Azul de Tu Misterio). His most recent work was with Anna Vissi and her Greek album, Apagorevmeno. With 40 years in the entertainment industry, Ladanyi has contributed to various high-end projects, with his work leading to 16 Grammy nominations, being directly nominated three times. He won a Grammy Award in 1982 for Best Engineered Recording  Non-Classical with Totos, Toto IV and nominated for Producer of The Year for Don Henleys The Boys Of Summer and Jaguares, Best Rock Album, Bajo El Azul de Tu Misterio at the 1st Annual Latin Grammy Awards. As president of Maple Jam Music Group, Ladanyi evolved the company from the original Maple Jam Records label founded in 2004 to a full service entertainment entity that works hand-in-hand with the artist to fully develop their careers. As a home to many established and up-and-coming artists we will continue to move forward, keeping Greg Ladanyis legacy alive. "I am writing with great sadness and to express my deepest sympathies to all those close to Greg Ladanyi whom Ive only known for a relatively short time. I met Greg one night in 2001 at the Barfly on the strip in LA and with Robbie Vee ended up back at his apartment where he was remixing some Jackson Brown tracks. As a musician and singer songwriter in my native London I knew of Gregs work and was thrilled to have got to know him. He was a generous man with a musical gift. Hell be missed." "His passion for the art was never timid. doing what he loved to do most. "I met Greg while just getting my first job in the music industry. He saw that I had a point of view for audio processing right from the start. This relationship continued until now. We had many interactions over the years working together. I always felt he respected me. I respected him. I learned an awful lot from him. He contributed a great deal to this industry. This is a tragic accident and a great loss." "I was Greg's assistant from 1999 through 2002 and coordinated the studioepxresso interview with Greg and Rob Hill at Tidal Wave. I just wanted to say hello and pass on my sadness for Greg's passing... I know Greg's still mixing wherever he may be. PS. I am also 99.9% sure that Greg's birthday was July 6. He was a Cancer through and through!" "I am shocked and grieving over the loss of my dear friend. Greg and I spent countless hours and so many months together working on my first CD. He poured his talent and generosity into the project we gave birth to. He has a special place in my heart and will always be a part of me. In many ways, he gave me wings. He has always been a great friend to me and a true support of me personally and creatively. We created beautiful music together. Greg I MISS YOU so bad it hurts like crazy. THANK YOU for all you did for me." "I consider myself extremely fortunate to have learned what I learned from Greg whether the transport was running or whether he was sharing his hard earned perspective over sushi. I couldn't have asked for a better teacher and mentor as well as friend to help someone new into the business." "Sad news...I have tremendous respect for Greg's work - he was behind some iconic artists and recordings of our time plus he reinvented himself every few years and always kept it positive. His work will live on." Our thoughts and prayers go to his family, close friends and Ms Vissi. Greg's musical legacy will continue to live through his love for Maple Jam artists and the timeless albums he helped make by Toto, Jackson Browne, Don Henley and many others. He was in excellent spirit at the studioexpresso mixer 3 short weeks ago. His smile is etched in my memory. Last night, all we could do (my husband and I) was to light a candle and listen to St Mathews passion. Audio was Greg's passion. It helped us visualize angels lifting him to his peaceful resting place." I know Greg considered you (Claris) a dear friend as he would always make sure I sent any news item or production update to studioexpresso first." "This is truly sad and my heart is with his loved ones and him. He was the consummate engineer, so passionate about his work always. Greg was an incredible inspiration. Our recording world has lost one of our greatest advocates and talents." "I was shocked and saddened to learn of Greg Ladanyi's passing. It is a sad day for our musical family. I would like to be able to reach Greg's family and know of the memorial services. Please keep me posted as to any details that you are made aware of. Thanks and blessings to you." History: Grammy-winning producer Greg Ladanyi has spent his entire professional career, engineering, mixing and producing records for some of the worlds greatest artists in the field of music entertainment. Greg is best known for his production & engineering work with: Jackson Brownesix albums, including Running On Empty, Hold Out, and Lawyers in Love; Totofour albums, including Toto IV, Don Henleythree albums, including Building The Perfect Beast, Fleetwood MacFleetwood Mac Greatest Hits and Behind The Mask, The ChurchStarfish, Jeff HealeySee The Light, and JaguaresBajo El Azul de tu Misterio. 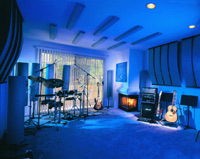 Greg started his career in 1974 at the Sound Factory in Hollywood, California, Assisting David Hassenger and Val Garay. Greg developed his skills working on great records like, Linda Ronstadts Hasten Down The Wind, Andrew Gold, The Four Seasons, Orleans, The Motels, The Fania All-stars, and John David Souther. In 1976 Greg was united with Jackson Browne, working on his world class album, The Pretender. Other artists developed with Jackson were, Warren Zevon and David Lindley. From there, Greg went on to work with Karla Bonoff, Clannad, Caifanes, Jaguares, General Public, Asia, Camel, REO Speed Wagon, Tommy Shaw, Dolly Parton, The Crickets, and Joe Cocker. 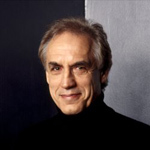 Mr. Ladanyi has contributed his work to 18 Grammy nominations and has been nominated directly three times. Greg won a Grammy Award in 1982 for Best Engineered Recording with Totos, Toto IV and nominated for Producer of The Year for, Don Henleys, Boys of Summer and Jaguares, Best Rock Album, Bajo El Azul de tu Misterio, at the 1st Annual Latin Grammy Awards. An estimated 60 million records have been sold worldwide. Contributing to the world of digital recording and delivery, Greg played a critical role with Steinberg North America by conceiving of and assembling their well-known Producers Group. 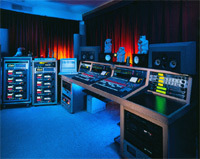 Steinberg's, Nuendo digital editing platform soon became recognized as one of the strongest DAW platforms. Greg also a pioneer in surround sound, operated the first live-mixed 5.1 surround sound music venue, Platinum Live, and has worked with DTS and Warner Brothers to produce artists in 5.1 surround sound, Jackson Brownes, Running On Empty and Mid Night Oils Capricornia.